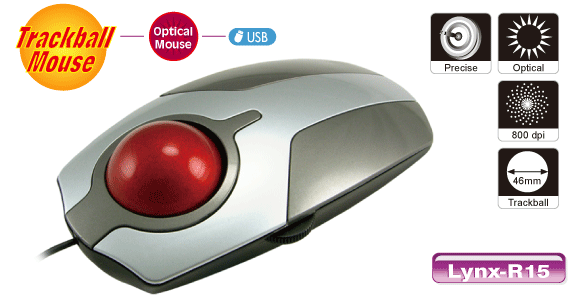 iOne Lynx R15 3 button Scroll wheel optical trackball mouse delivers comfort and precision. This mouse can be use on either right hand or left hand. Get one today, and experience the precise motion and fluid control of optical technology at its finest. Operating temperature : 0C to 50C.